The following companies or groups have made a substantial contribution to Zach’s movement and we are GRATEFUL! Zach’s first journey wouldn’t have had the same impact if it weren’t for the companies and businesses who stepped forward to help. We are LOVING seeing and hearing about the FUN teams are having in their board meetings, on their sales floor and during their lunches – and there have been a lot of laughs and giggles. 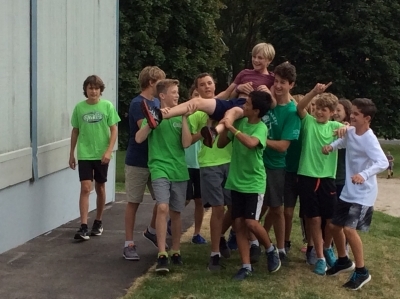 Supporting social enterprise SHOULD be rewarding and fun. 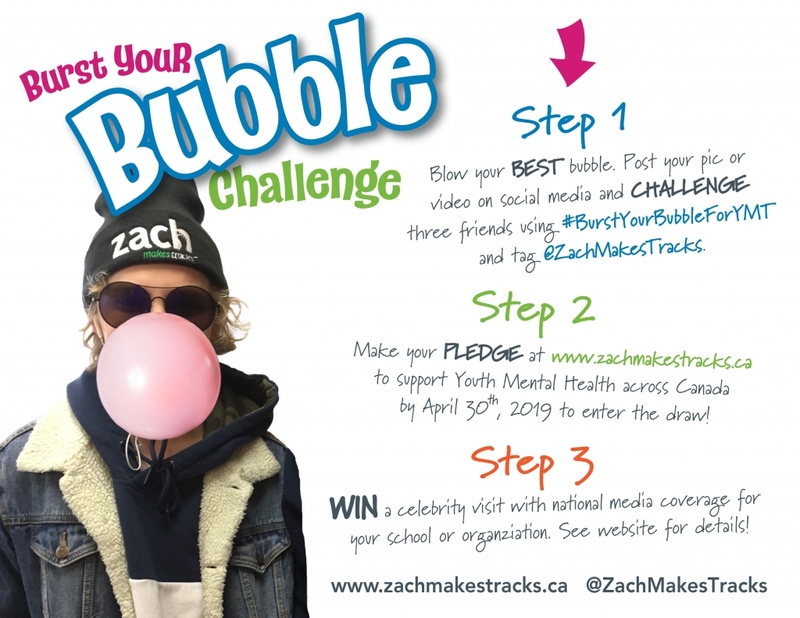 If you’re interested in supporting this nation wide event, or would like to hold your own #BurstYourBubbleForYMT challenge, please contact Gillian Bradshaw for more information. 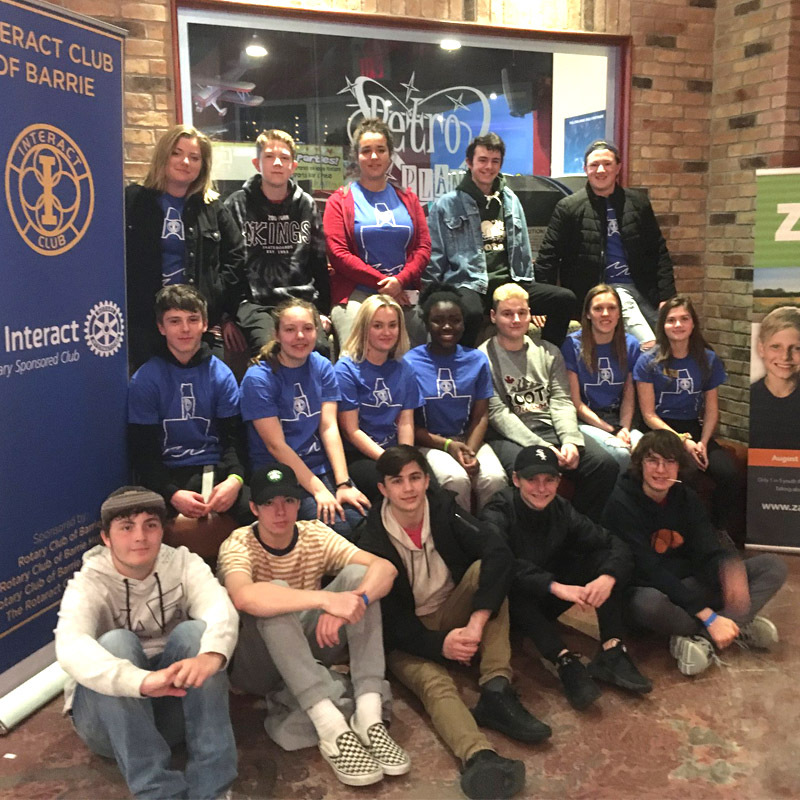 Zach’s first journey raised over $127,000 for the new youth mental health unit at our local hospital. 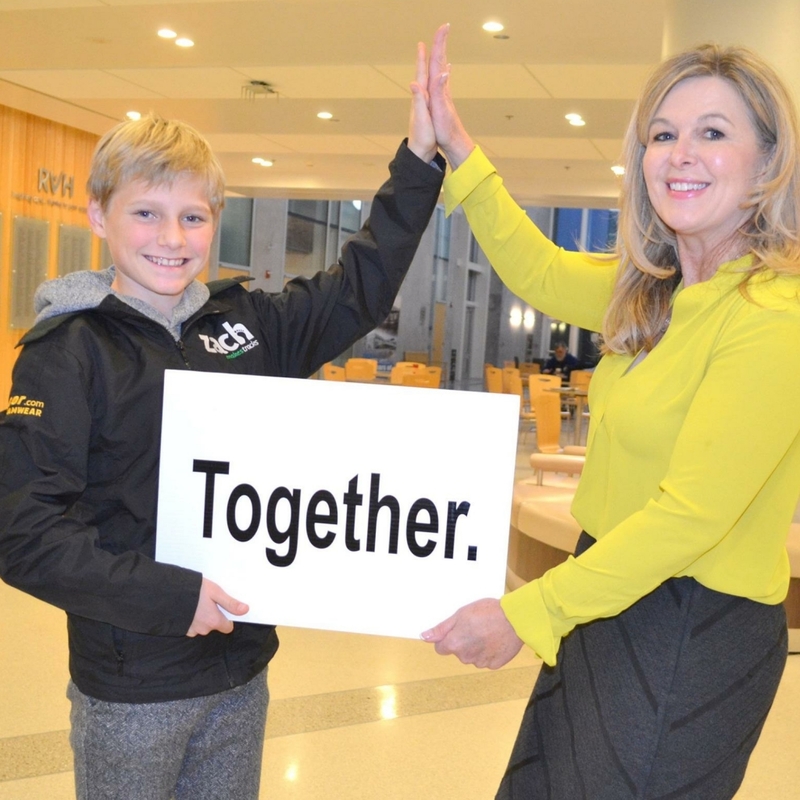 RVH CEO Janice Skot recently reported that since it opened in December of 2017, over 1300 youth have received mental health treatment through the program! THIS IS HOW WE CAN MAKE A DIFFERENCE FOR OTHERS! 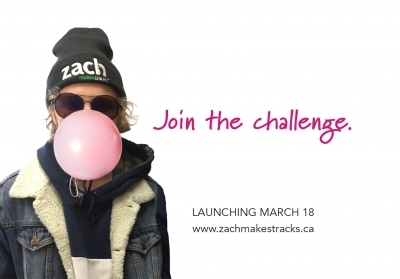 Zach wants other youth to know they can make a difference in their OWN communities. That’s why we have decided to support 13 schools/groups, one from each province and territory. These youth will be able to choose a front-line youth mental health service to receive a portion of the funds IN THEIR AREA. 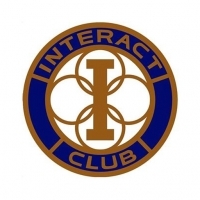 HAVE YOUR NOMINATION IN BY APRIL 30TH!